A Virginia State Police trooper who was shot in the line of duty Monday night has died, authorities said. Trooper Lucas B. Dowell, a member of the state police’s tactical team, was assisting the Piedmont Regional Drug and Gang Task Force with executing a search warrant at a home near the town of Farmville, Virginia. An armed man inside the residence opened fire on the team shortly before 10 p.m. local time Monday, according to a press release from the Virginia State Police. The tactical team returned fire, killing the suspect, police said. Dowell, who was shot, was taken to a local hospital where he died. He is survived by his parents and a sister, authorities said. 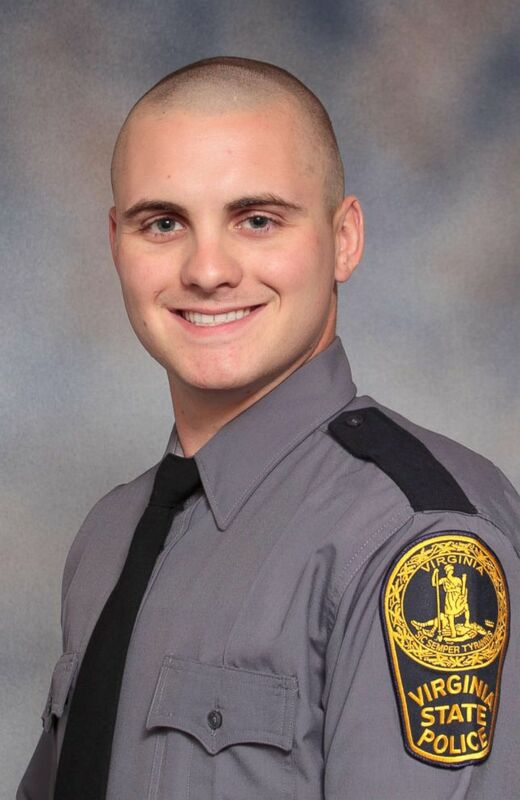 Virginia State Police Trooper Lucas B. Dowell was fatally shot while executing a search warrant on Feb. 4, 2019. The suspect, who was pronounced dead at the scene, was the only individual inside the home at the time of the shooting. Authorities are in the process of notifying next of kin. The Virginia State Police Bureau of Criminal Investigation’s Appomattox Field Office is investigating the incident. The two troopers who fired their weapons have been placed on administrative leave in accordance with Virginia State Police policy.